One of the worst disasters a property owner can deal with is indoor flooding. 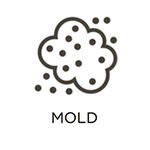 This is because the flooding can result in structural damage, and lead to mold growth and ruin personal belongings. The damage from flooding can be much worse if the water involved contains sewage. 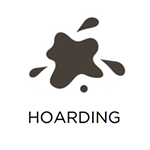 Because sewage consists of waste materials, the amount of damage and negative health effects it can cause increases. Knowing this, it is important that you don’t come into contact with flood water contaminated by sewage. You need to call a professional right away to conduct cleanup. 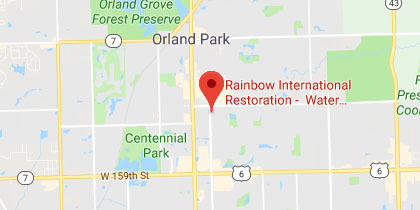 Rainbow International Restoration of South & West Suburbs provides sewage cleanup services to address sewage and flood water backups in Downers Grove, IL, and the neighboring areas. To eliminate sewage water, we use advanced water extraction equipment. 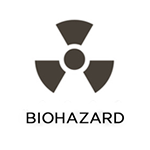 We then do an extensive cleaning and decontamination of affected areas so that health risks are eliminated. We employ well-trained, experienced technicians who will safely conduct sewage cleanup. Our technicians have also all passed thorough background checks, so you can trust them to work within your home. Sewage can make its way into your home in a few ways. Sewage backups happen when a system backup results in sewage coming up through a drain. Sewage can also get mixed with flood water prior to coming into your home. Regardless of how the sewage got inside or where it came from, it’s still dangerous, so you need to be cautious. Call our technicians right away to conduct cleanup. You shouldn’t do any cleaning yourself, because you’ll risk suffering from negative health effects. Water damage: Excess water becomes absorbed by building materials, such as drywall and wood, and causes major damage to them. Water that has sewage will cause the materials to absorb waste materials. This kind of damage is severe and often permanent. For the most part, building materials damaged by sewage water need replacement. To prevent permanent damage, immediately seek help from our professionals. Health risks: Often, sewage has hazardous toxins, such as bacteria, viruses, and other microorganisms. These toxins can cause severe health concerns, which is why coming into contact with contaminated water is risky. As such, you should immediately call us to conduct cleanup to minimize any health risks. 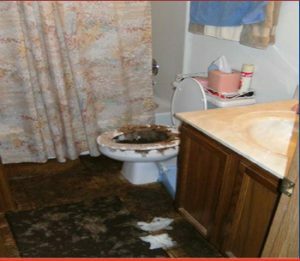 At Rainbow International Restoration of South & West Suburbs, our technicians are ready to conduct sewage cleanup in your home regardless of the scope of the problem. 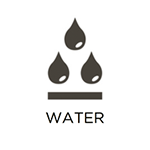 Our advanced drying and extraction equipment guarantees that the water is removed from your property. After the water extraction, we will thoroughly clean and sanitize affected materials. 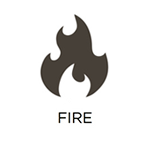 If any of the affected materials are damaged, we assess them and determine if they can be salvaged. Otherwise, they’ll need to be discarded. Whatever can be saved is completely dried, cleaned, and sanitized. Based on how much damage the sewage causes, you may want to file an insurance claim. If you are unsure about it, then we can help you figure out the situation. If you involve your insurance, we will directly bill your insurance provider to pay for the claim. That way, you don’t need to worry about the payment. Additionally, we can price-match any professional service that meets IICRC standards and has provided you with an estimate for the same service. If your home has sewage damage, you need to act immediately to prevent any damage from becoming permanent and to prevent health issues. Rainbow International Restoration of South & West Suburbs in Downers Grove, IL, can help with our sewage cleanup services. We will do an effective and efficient job of removing sewage as well as cleaning and sanitizing your property, making it safe again. Call (630) 326-5667 for our sewage cleanup services.